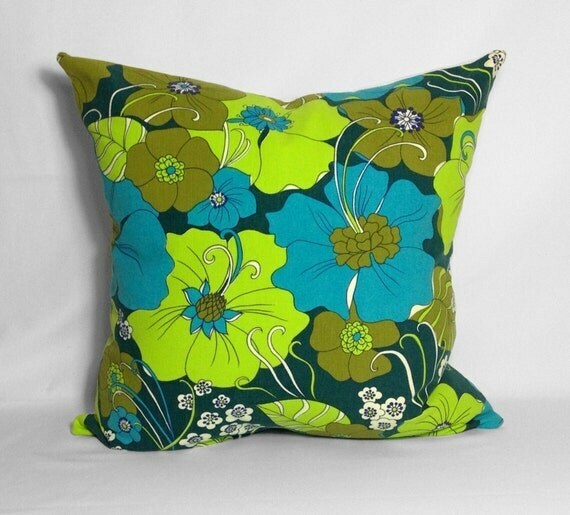 Large retro flowers feature in this glorious & stylish scatter pillow, handmade from vintage fabric with accents of green & blue this design is perfect for your eclectic vintage home decor scheme or for adding a fresh look to your modern home! Whether you're looking for decorative accent pillows for your couch or scatter pillows for your bed, the cotton fabric used in this retro accent cushion conveys an instant, easy pop of personality. The size of this pillow is 20" x 20"
Folksy :: Buy "Vintage Fabric Burp Cloth"